Walnut is a highly nutritious and medicinal nut that is very rich in potassium which is an essential element needed for body growth and development of healthy bones. When mixed with honey, the net effect produced by this rich combination is of high medicinal value. Honey made by Amish honey is natural and devoid of sugar or any other additives. Walnuts have been found to contain some neuroprotective compounds, which includes vitamin E, folate, melatonin, omega-3 fats, as well as antioxidants. 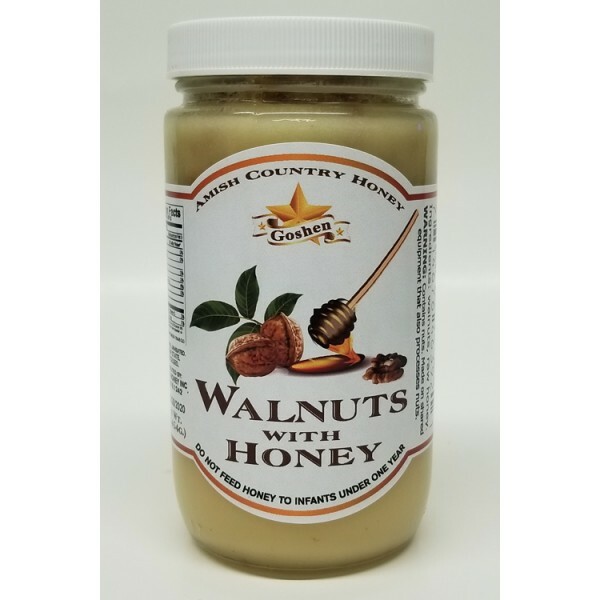 It is also a known fact that Walnut consumption may support brain health, including increasing cognitive reasoning in young adults as well as lower aging in old people.